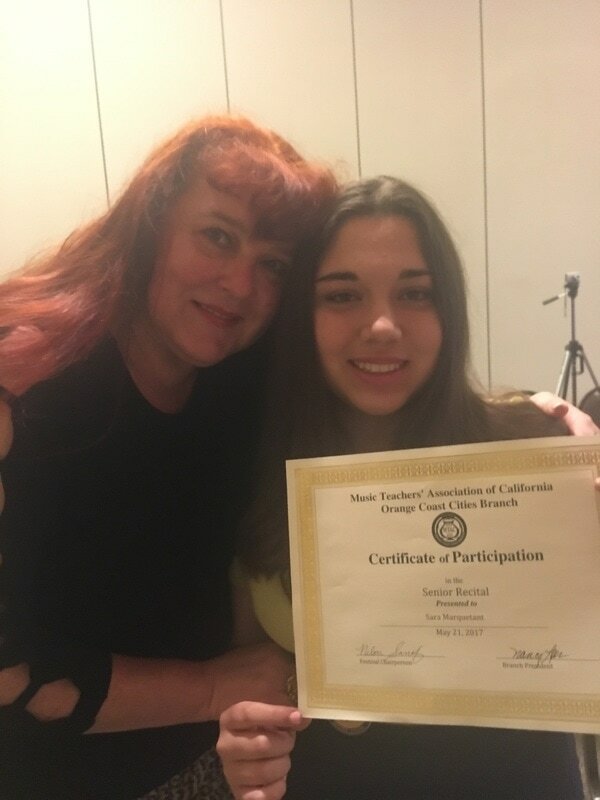 Dr. Sakach is a member of Music Teachers’ Association of California. Pianist, singer Marina Abramova Sakach holds Masters degree in Piano Pedagogy and Performance, Classical voice, and Theory from the Art University, Cheboksary, Russia and Doctorate in Classical music from Canterbury University, England. Miss Abramova Sakach is an award-winning solo and chamber musician who has performed throughout the United States, as well as Czech Republic, Hungary, Germany, Turkey, England, Russia , Latvia, Estonia. She also performed at the Kennedy Center and New Sacramento arena with Boston Pops. She captivated audiences with “ Beautiful, sensitive tone”. At age 21 she became a youngest professor in Art University in Russia and youngest ever head of Music Department. 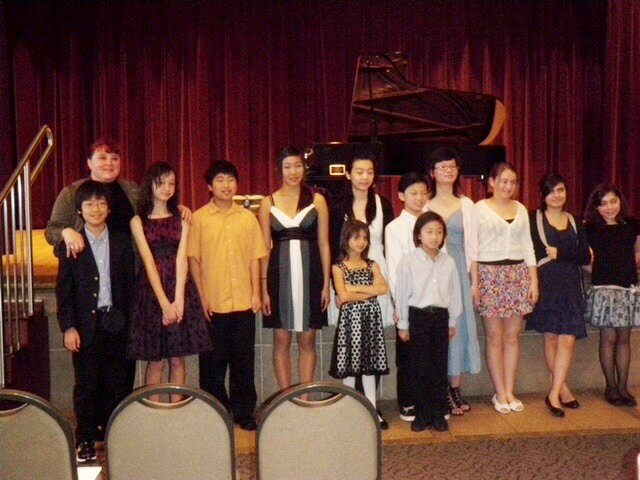 Over the years Dr. Sakach’s students won prestigious competitions throughout Europe and the United States in piano and voice. Miss Sakach made radio and TV recordings of chamber and solo voice music in Russia. In addition to her teaching and performing, Dr. Abramova Sakach has been frequently invited as an adjudicator in many music competitions throughout Southern California. 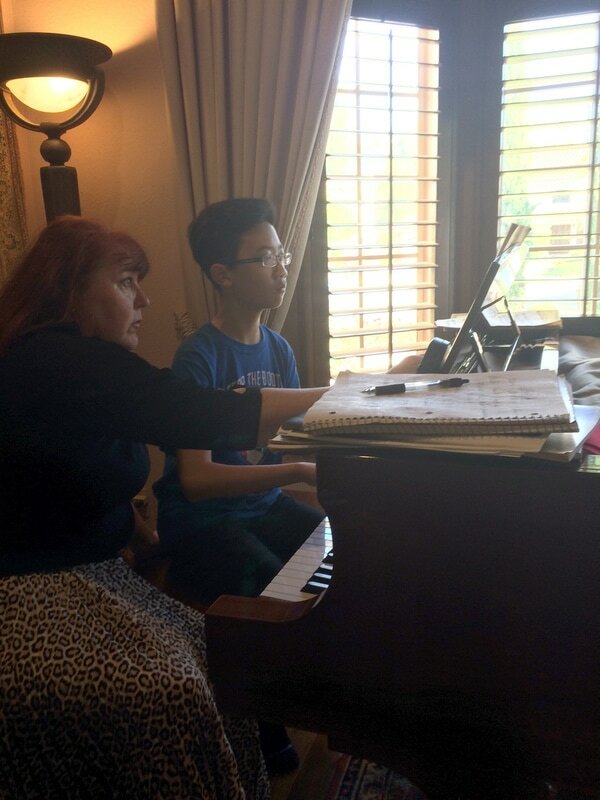 She currently teaches piano, voice and theory in her private studio located in Laguna Niguel.